The documentary School Life originally had a much more provocative title, In Loco Parentis, which is a legal term that means “in the place of parents.” It implies, however vaguely, something lacking in a child’s mother and/or father—and School Life doesn’t spend much time on parents at all. 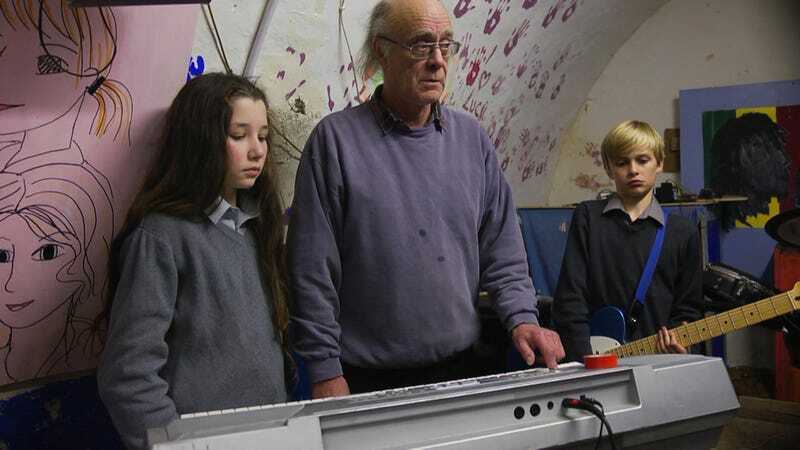 Instead, the focus of this fly-on-the-wall film is the students and teachers at Ireland’s Headfort School, a place that manages to be both an idyllic throwback and a forward-thinking inspiration. Headfort is a boarding school for primary-aged kids from 7 to 13. It’s an expensive, private institution that’s been around since 1949. You wouldn’t know any of that from School Life, though, since the film features no titles, very little in the way of background, no narration, and no real attempt at the usual documentary story arc. Which isn’t to say there’s no story at all: The film focuses on married couple John and Amanda Leyden, who’ve been teaching at Headfort for more than 40 years. They live on the grounds of the beautiful Irish estate, and their lives are clearly immersed in their jobs. They’re also wonderfully, creakingly, hilariously British—him dry as a bone but clearly enamored of his students, her a loving fussbudget that would surely be played by Judi Dench in a movie with more story to tell. They chat about their pupils with English detachment in their voices, but they clearly understand how much good they’re doing. The film doesn’t need to beat you over the head with the idea that treating children like humans will result in their becoming better ones—it shows that, time and again, but never tells. In a couple of scenes, directors Neasa Ní Chianáin and David Rane try to mine some mystery by having the Leydens discuss leaving the school, but as John puts it, “If we don’t come here, what would we do all day? Just sit around doing less and less and getting more decrepit.” They while away their free moments sitting near a window and smoking cigarettes together. Not to be morbid, but they’re the kind of couple who’ll work until they can’t anymore, and then die within a few days of each other, having done important work with little acknowledgment. Except, of course, from the children whose lives they’ve made indelible impressions on. School Life focuses on three: a dyslexic boy named Ted, a remarkably shy but talented girl, Eliza; and Florence, a model who’s come to Headfort from exotic London after having a tough time in school there. The Leydens seem to instinctively know how to treat them, with a combination of tough love and no-nonsense compassion—and all within the context of giving them something smart to chew on. One minute they’re discussing Gandhi, the next gay marriage, and the next (and many more) they’re in John’s weird little music room, learning to play whatever pop songs they fancy, from the punk gem “Teenage Kicks” to Rihanna’s “Diamonds.” It’s the kind of school that could never exist in today’s America: It’s too freewheeling, too unstructured. Maybe it won’t exist in Ireland much longer either, so it’s a good thing that School Life manages to capture its weird, wonderful world.